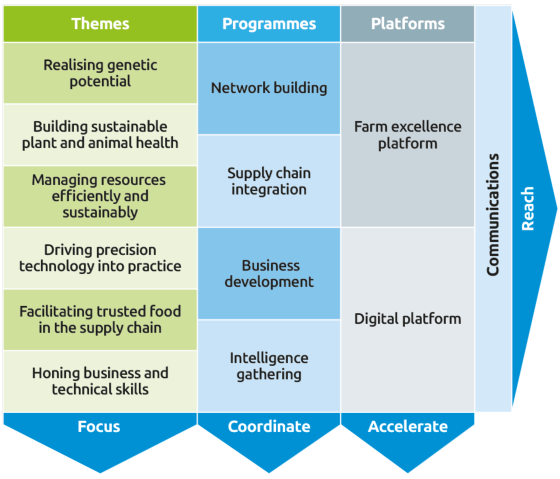 Farm Excellence is a channel for integrating farmers and their businesses into the wider AHDB Research and Knowledge Exchange (KE) programmes. Across an extensive scope of agricultural businesses, we have inspirational farmers opening their doors to others to learn, share and create new ideas to drive innovation and increase productivity. Farm Excellence builds on research that has revealed farmers learn best from those they trust and are more likely to make beneficial changes and adopt best practice if they see it in action on-farm, in their own region. It also taps into a recognised source of innovation and development: the farmers themselves. AHDB is the major funder of applied agricultural and horticultural research and knowledge exchange (KE) in the UK. About 50% of the levy collected is invested in our technical programme to address four high level strategic priorities. 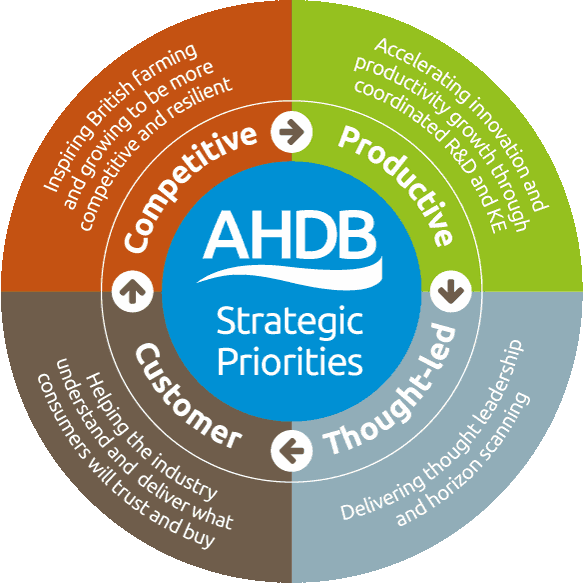 AHDB Farm Excellence builds on the fact that we are unique in being able to blend farm economics and skills development with technical advances and innovation. The six action-driven themes combine research and KE so that outputs are targeted and delivered through the two new delivery platforms. As projects associated with our strategic farms begin to yield results, we'll bring you more and more interesting and compelling case studies. For the time being, you can view full lists of our strategic and monitor farms and register to attend on-farm events by following the links below.